●SG, SGP In-Line Capper is suitable for capping various kinds of vessels (round type, flat type, square type) and widely used in such fields as pharmaceutical, food, chemistry., etc. ●SG, SGP In-Line Capper, together with other bottling products of our company, can form a complete producing line. Also this machine can work alone. ●SG, SGP In-Line Capper is controlled by PLC (programmable controller). SG is controlled through the control panel and knobs. SGP is controlled through the touch screen. The machine works reliably and operates easily. When a bottle already filled with materials enters the entry of the main machine, the cap drops through the cap feeder rail and covers the bottle. After that, the bottle covered by the cap enters the bottle clamp system, clamped by two belts and sent forward. Simultaneously three pairs of capping wheels fasten the caps. The capped the bottle then detaches from the bottle clamping belt and goes into the next process. 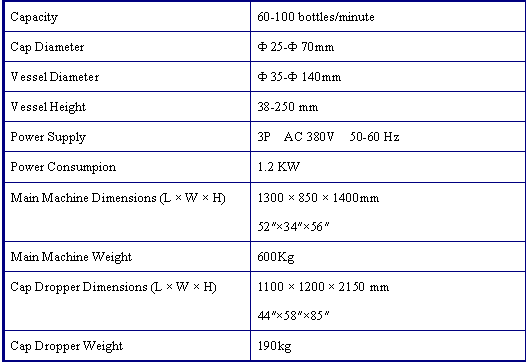 For different types of bottles, users may only need to adjust the cap drop lane, bottle clamping belt, the distance between the capping wheels and the height of the working box. 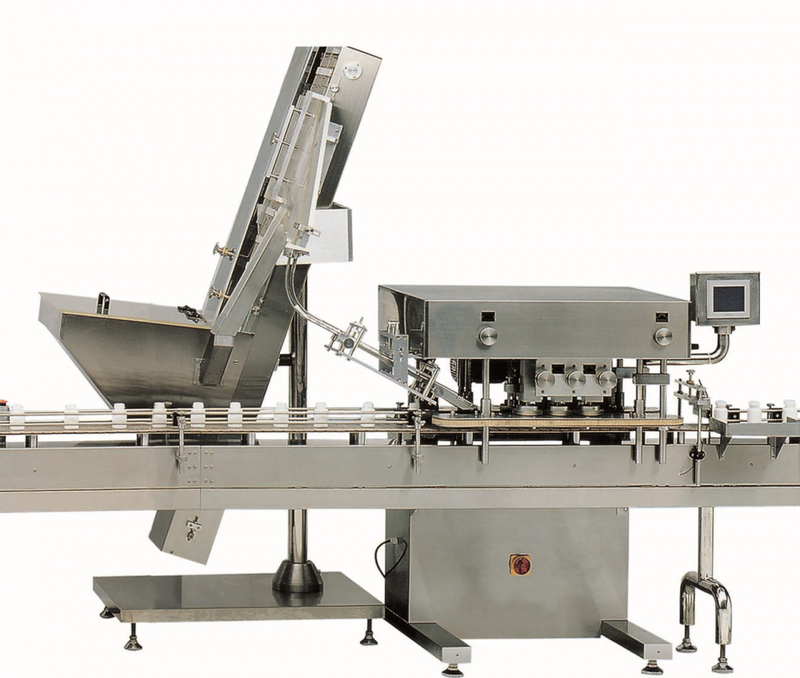 Looking for ideal Automatic Capping Machine Manufacturer & supplier ? We have a wide selection at great prices to help you get creative. All the Automatic Bottle Capper are quality guaranteed. We are China Origin Factory of Automatic Bottle Capping Machine. If you have any question, please feel free to contact us.